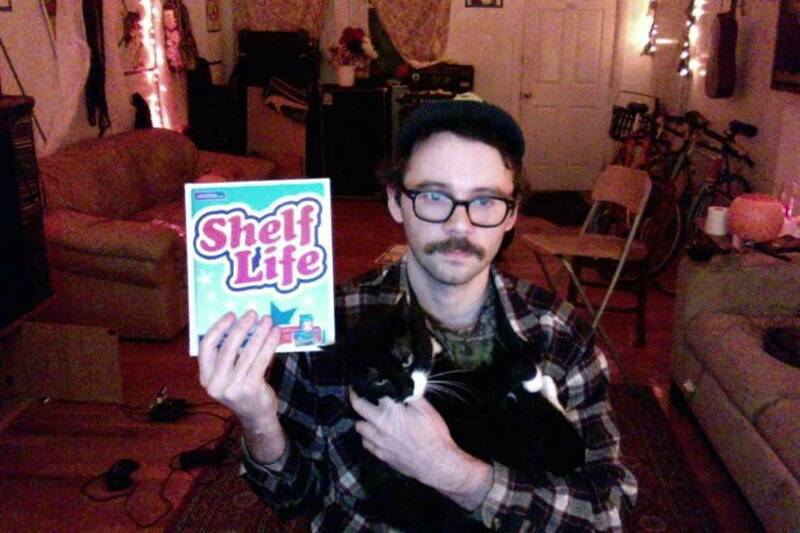 The rising star of Shelf Life & Scott Leitch; press photo courtesy of the artist. With our hearts & thoughts in Charlotte right now, Impose’s Week in Pop makes a plea for universal peace & justice everywhere as we bring you the latest breaking media exclusives & insights. Catching up on some of the week’s biggest buzz, T.I. dropped the Us or Else EP as a response to the “repeated deaths of unarmed black citizens at the hands of police” & dropped the Visual Authority Media video for “Black Man” ft. Migos’ Quavo, RaRa & Meek Mill; Kevin Shields remixed The Undertones’ “Get Over You” to celebrate fortieth anniversary reissue of the band’s self-titled & Hypnotised available October 7; Big Freedia announced the new album Pressing Onward & tour; Shamir dropped “Tryna Survive” for the short film “Sheep Plays Wolf” from Roja Gashtili & Julia Lerman; Sadie dropped the new Sad13 video she made with Catherine Elicson for “<2” off Slugger available November 11 via Carpark; Kristin Hersh dropped “Soma Gone Slapstick” off the upcoming LP/book Wyatt at the Coyote Palace available October 28 (UK/AU) & November 11 stateside through Omnibus Press; The Growlers’ new Julian Casablancas produced album City Club will be available September 30 from Cult Records with Beach Goth fest happening in the O.C. October 22-23; Juicy J dropped the mixtape #MUSTBENICE; Merchandise just released the album A Corpse Wired for Sound today from 4AD & performed on the Florida based “Tampa Bay’s Morning Blend” show; Rae Sremmurd dropped the Motion Family directed video for “Black Beatles” ft. Gucci Mane; Powell dropped the video for “Jonny” ft. HTRK’s Jonnine Standish on vocals; Childish Gambino, aka Donald Glover’s TV show “Atlanta” got picked up for a second season; Simian Mobile Disco announced the new album Welcome to Sideways available November 11 & dropped “Far Away From a Distance”; Yo La Tengo announced the upcoming compilation of covers titled Murders in the Second Degree; Autechre announced reissues for their first three albums & fall European tour; Beth Orton dropped the video for “Wave” from the ANTI album Kidsticks; Empire of the Sun dropped the “High and Low” video; Neil Young dropped “Indian Givers” video; Nick Cave & Warren Ellis dropped the video for “Comancheria”; Green Day dropped the lyric video for “Still Breathing” off their upcoming Revolution Radio available October 7; A Tribe Called Quest’s Ali Shaheed Muhammad with Adrian Younge are doing the soundtrack for the show “Marvel’s Luke Cage” & Tribe also dropped a documentary about the making of a mural on the laundromat wall of the streets Linden Blvd & 192nd St. in Queens featured in the video for “Check the Rhime”; Jim James from My Morning Jacket will release the solo album Eternally Even available November 4 from ATO/Capitol) & dropped “Same Old Lie”; J.K. Rowling reviewed Violent Femme’s self-titled debut; artificial intelligence creating music; Puff Daddy gave $1 million to Howard University; Oasis dropped the “Going Nowhere” demo from the October 10 reissue of Be Here Now, while Liam versus Noel continues to rage onward; Corey Feldman did something; Atlanta’s new drilling machine was named after our hero Killer Mike; LCD Soundsystem x CID Beach Vibes festival canceled; we lament the passing of DJ Spank-Spank (oka Earl Smith Jr.); the loss of D4L’s Shawty Lo; we mourn the passing of Martin Croker 7 are we can be found currently binge watching “Space Ghost Coast to Coast”; and OSR Tapes are shuttering by the end of 2016. Moving forward we are proud to bring the following breaking exclusives & media from Francie Moon, Noumenal Loom, Shelf Life, Bam Spacey, Yacht Punk, Amber Arcades, Iconique, Kevin Krauter, Mothlight, featuring guest selections by Dinowalrus & more—in no particular order.